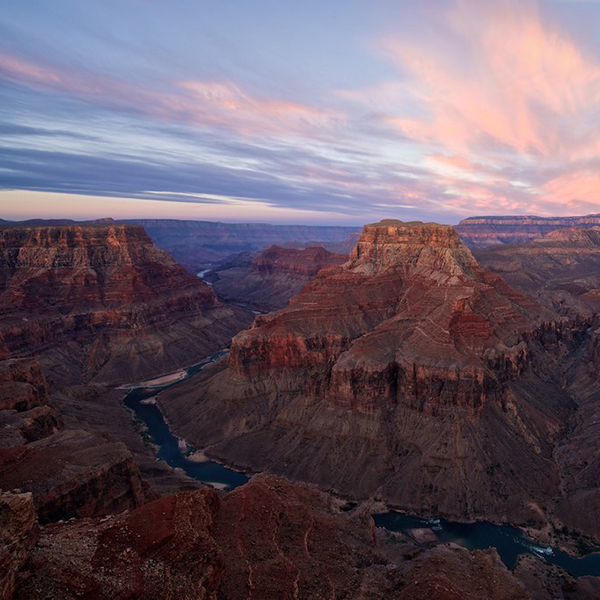 Spend a night at the bottom of the Grand Canyon surrounded by 2 billion year old granite and Vishnu schist! Bright Angel Campground is just a half mile north of the Colorado River on the banks of Bright Angel Creek, a tributary of the Colorado. Campsites either sit at the base of towering cliff walls or line the creek. Cottonwood trees shade the campground and create a lush oasis. This sought-after campground fills up quickly, so plan ahead and get your permit early. A few walk-in permits are available daily at the backcountry permit office. 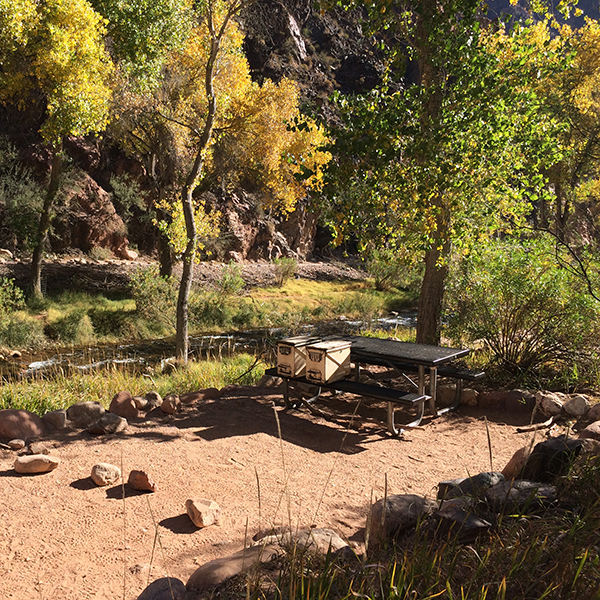 From the campground, follow the creek a half mile upstream to the Phantom Ranch Canteen, where you can treat yourself to a cold lemonade or beer after your grueling hike. You can also buy snacks, play games, and mail postcards. If you’d like to lighten your load, you can pay to have mules carry your gear in and out of the canyon. Contact the Bright Angel Lodge on the South Rim to make the appropriate arrangements. Bright Angel Campground is at the bottom of the Grand Canyon, so accessing the campground requires descending more than 5,000 feet via one of the park’s three corridor trails. Choose between the North Kaibab Trail, which begins on the North Rim, or the Bright Angel or South Kaibab trails on the South Rim.